The West Africa Examination Council (WAEC) has now made it easy for eligible candidate who wish to apply for the 2018 First Series WAEC Examination, that they can now purchase the pin for registration and result checker using the Remita platform. 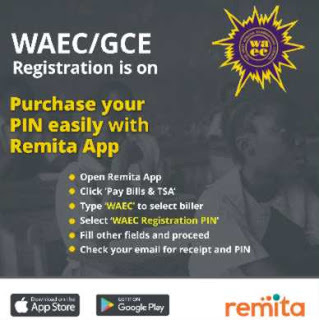 This development came on the heels of the reported challenges the candidates faced in an attempt to acquire the pins from NIPOST and the designated banks. 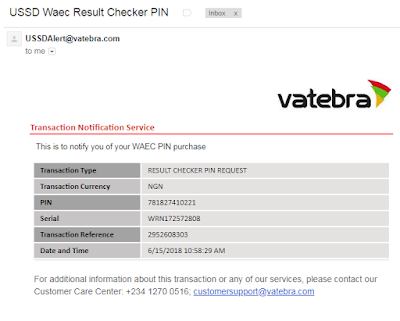 – Select WAEC Result Checker Pin, if you want to generate waec remita rrr payment code to purchase waec result checker pin. 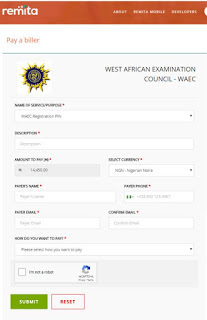 Describe or give more detail of the payment your want to make. 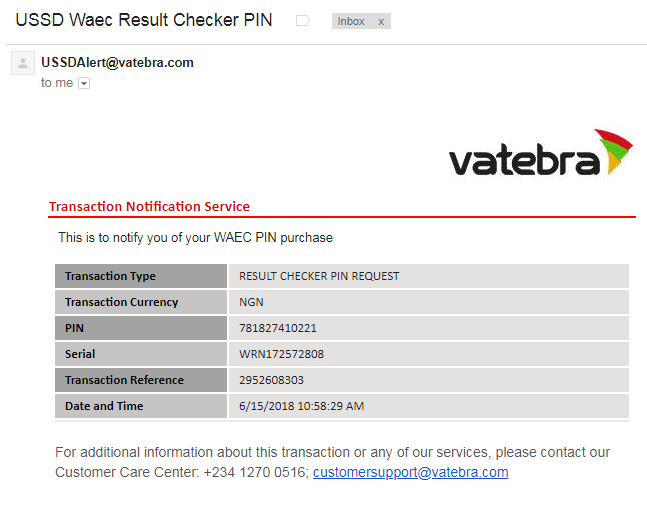 Type in a valid email address, this email address is used to retrieve payment invoice receipt if by one reason or the other a person misplace the first print out. HOW DO YOU WANT TO PAY. 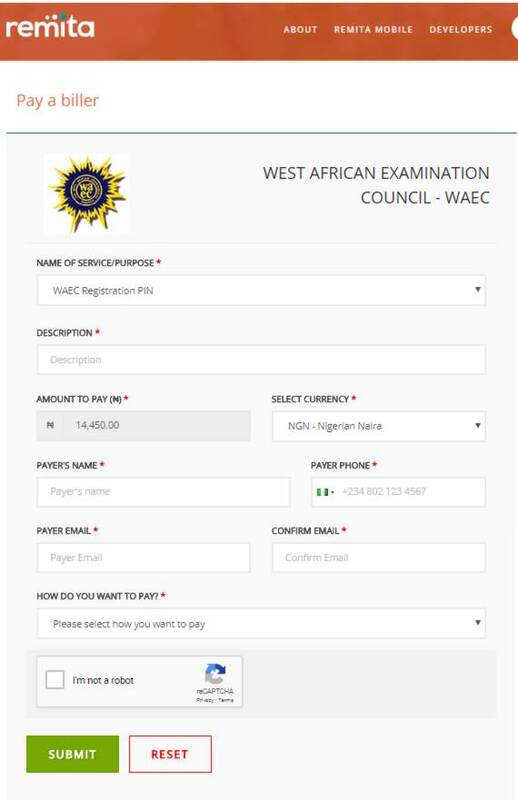 Select the payment method that is convience for you. follow the onscreen procedure that show up, it finally end at where you will be asked to download a pdf file and print out.